The last few months I have been going through the archives in the Special Collections Library here at Penn State for a personal project I am doing to understand the culture of dance during the 1910’s-1940’s that existed at the college. This has involved going through countless yearbooks, scrapbooks, newspaper clippings, and et cetera. I cherish the endeavor because each item from the archive I go through, I gain a little window into the life and perspective an individual from that era. In addition this process gives me a small glimpse into a much bigger picture of why students danced and the culture that revolved around it. One of the items I frequently came across in scrap books whether it be a military man or an architectural engineer was a dance card. 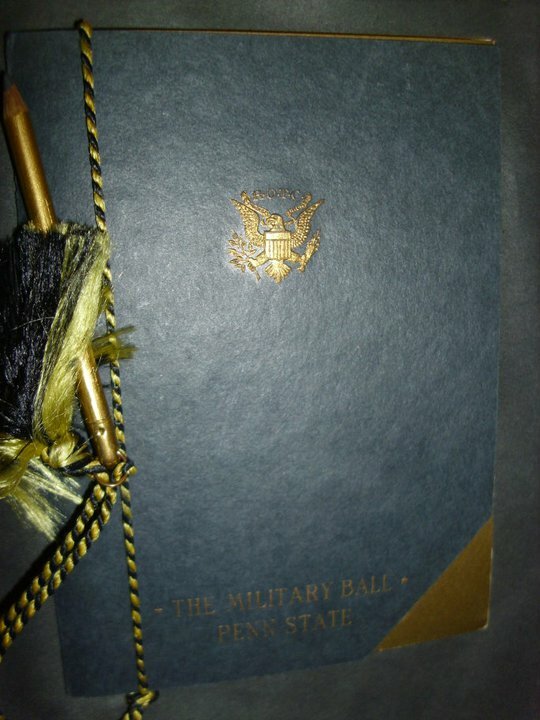 In the case of Penn State these are often small but elegantly designed booklets with a pencil attached to the side that had information such as; location of event, time of event, name of event, theme of event, distinguished guests, contributors to the event, name of band or entertainment, and lastly but certainly not the least a list of numbers followed by lines for names to be penciled in. 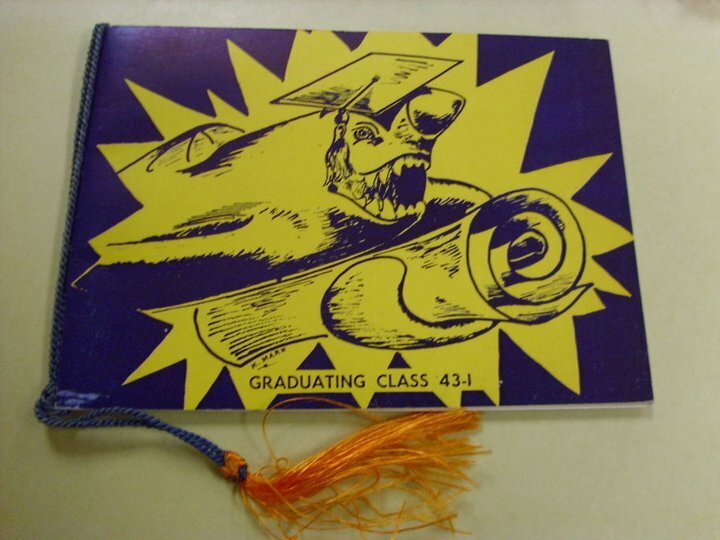 Besides being a keepsake, which is evidenced by how many I have ran across in yearbooks, it existed as a tool for social guidelines. Originally it was used by women to record the names of gentlemen she was to dance with at a ball. 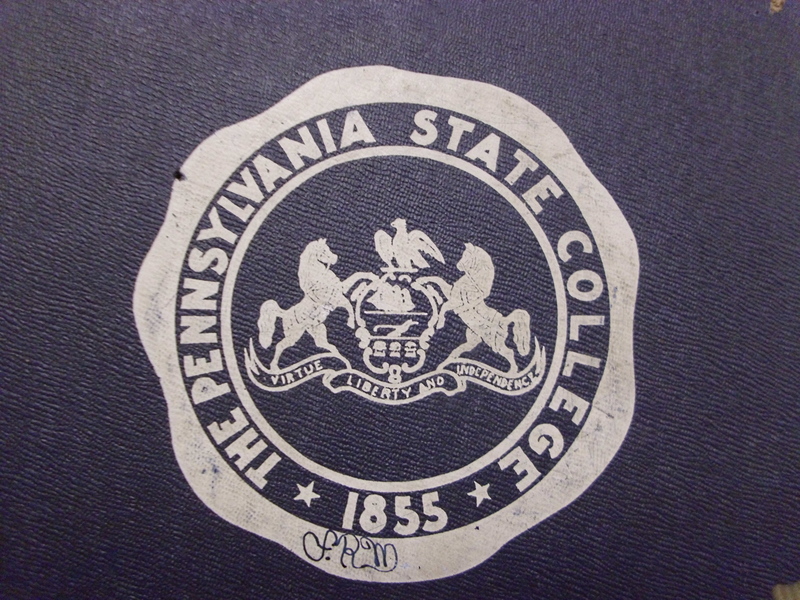 However in the case of many of the Penn State dance cards, they were owned by men and penciled in women’s names! Anyways, here is a small collection of dance cards I have captured with my camera in my research. 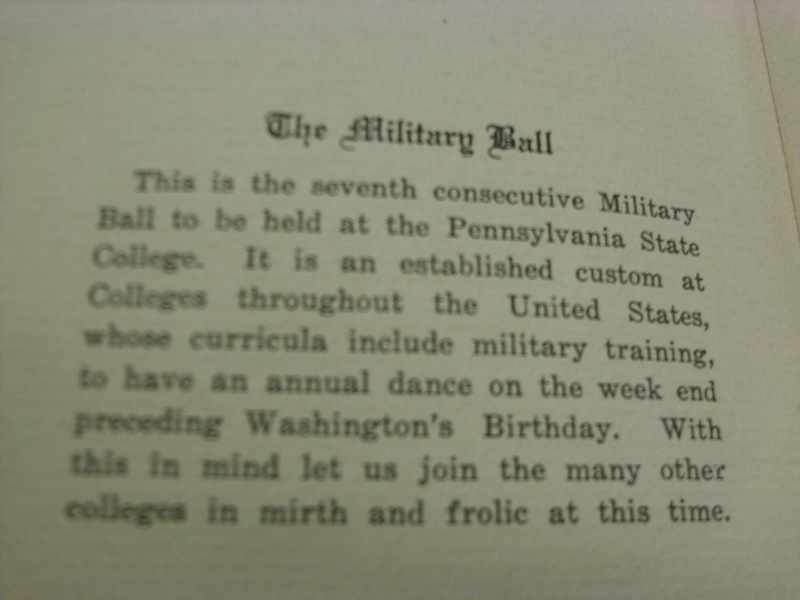 This is from a student by the name of Franklin Marsh who graduated 1928, his scrapbook contained two Military Ball dance cards but the 1929 one was in a more presentable condition. A common theme I have noticed from the late 20’s to the 40’s is involvement with the military as a reason for gathering for social dance. This particular dance was in celebration of a birthday as shown in the picture below. A trend I noticed toward the WWII era was an increase in military dance events that mainly focused on pride within their branch of the military. The Navy, the Air Force, and the Army at Penn State during this time period all had separate events with often details previously left out in the past such as lists of officers attending. An interesting detail is toward the late 30’s I noticed a shift from more handmade ornate dance cards to almost mass manufactured ones. This dance had a tradition in which a young lady would be declared queen and would be mentioned in next years dance card as the retiring queen. I have been trying to locate an Air Force pilot from Penn State during this time to get more details about the event. 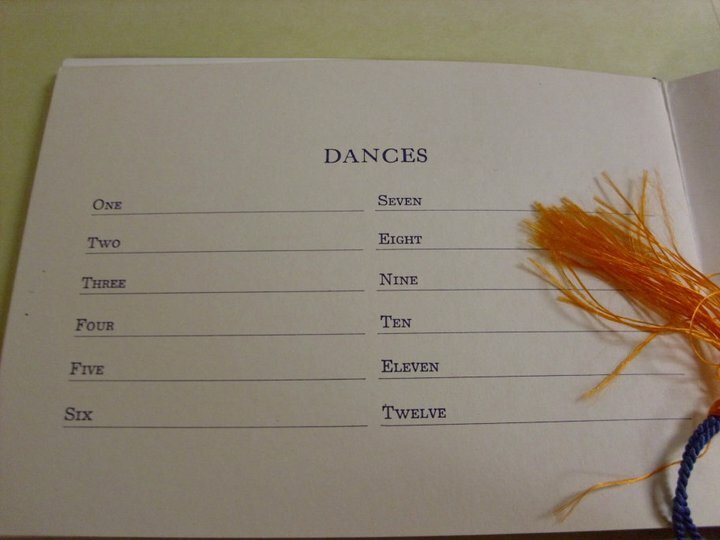 As mentioned before here is the list inside of the dance card for names of the individuals one wanted to dance with to be “penciled in”. Senior Proms and Junior Promenades were commonplace at colleges in the 1920’s/1930’s and were often the social event of the year for the respective class. 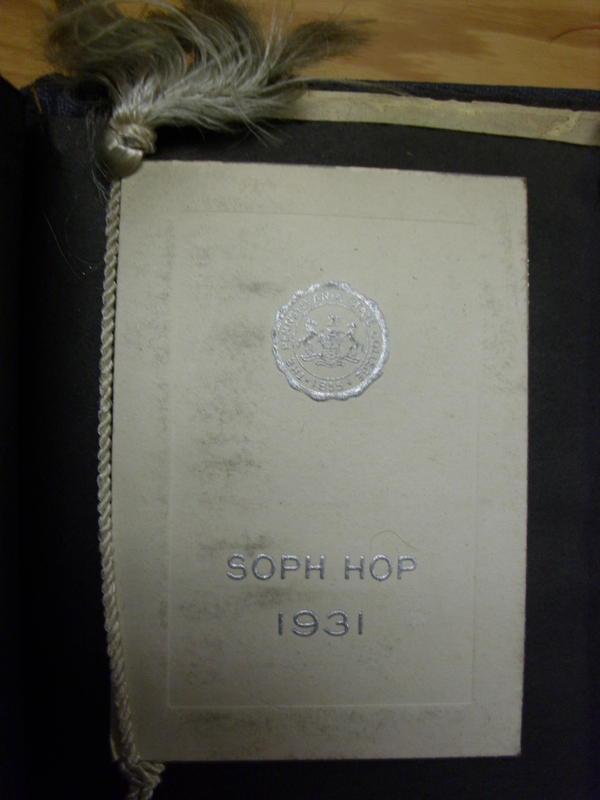 The Sophomore class at Penn State felt left out and in result had an event known as the Sophmore Hop or affectionately nicknamed the “Soph Hop”. 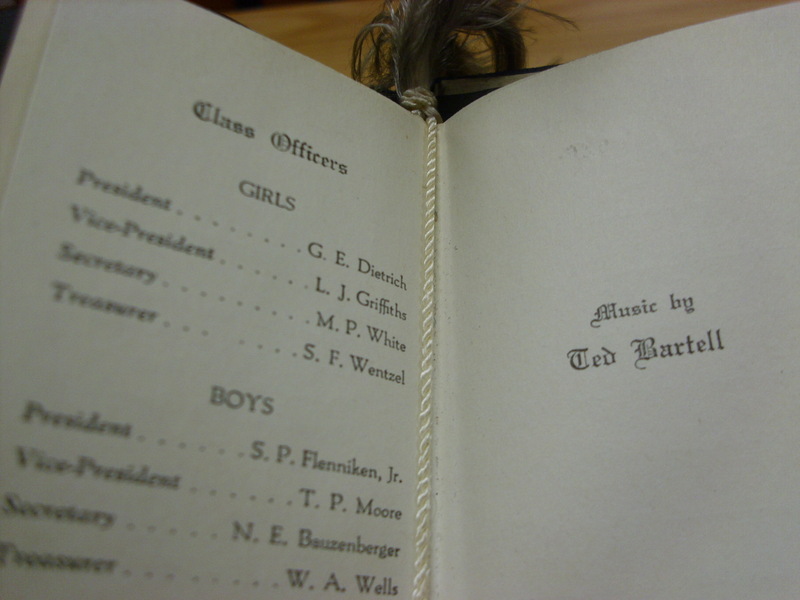 As mentioned previously in this particular dance card a list of important guests are mentioned, which in this case are the class officers of the Sophomore class of 1931. Also to note is Ted Bartell is providing the music who used to play trumpet in the Paul Whiteman band, before starting his own group . Given the numerous amount of these I have found in scrapbooks at Penn State, its a clear sign to me that they were great mementos and held much sentimental value to those who attended dances at Penn State. Personally I would love to see a return of them being at dances hosted by the swing dance community, maybe sans the rigorous social guidelines that came with the original balls they were used at. They could encourage people to interact with each other and exist as a reminder to those of attended an event of the fun times and memories they created. Jesse Hanus over at Groove Juice Swing wrote an excellent article about how her their organization in Rochester utilized dance cards to their benefit. I encourage you to read it and hopefully apply the idea to your own scene. This entry was posted on June 26, 2011 by Apache. 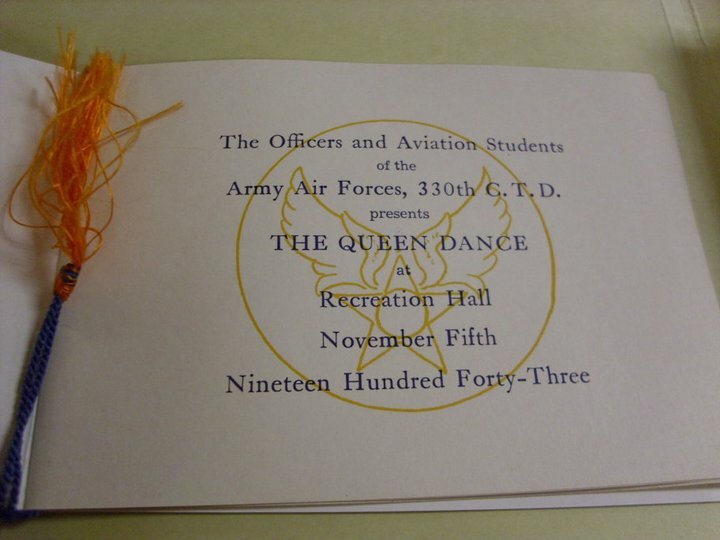 It was filed under Dance and was tagged with Dance Cards, Military Ball, Penn State.